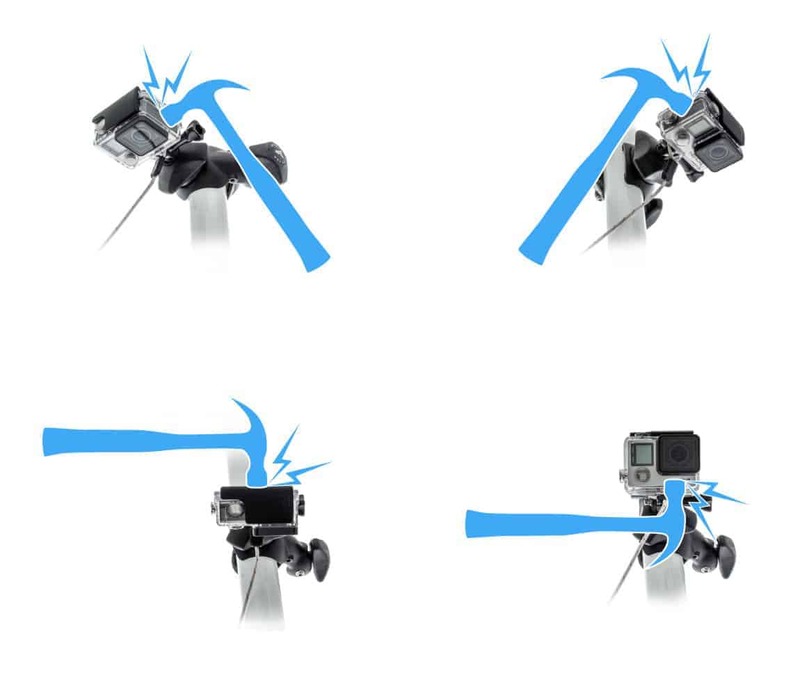 For GoPro and other action cameras. Our patent pending safety leash holds your camera at its strongest point. Trapped between a steel rod and the camera’s highest concentration of polycarbonate, this is the safest way to secure your camera when using a Flymount Original. We particularly recommend our leash to people using other brands of camera mount. MATERIAL: PA-66 (30% glass filled) / English Braid 16 plait Polyester cord with Nylon core. COMPATIBILITY: All cameras using the GoPro mounting system. Where does the Safety Leash attach to? 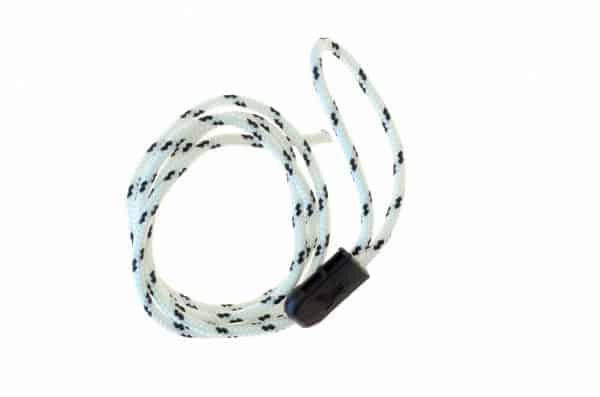 The Safety Leash is designed to be trapped between the camera and the camera’s angle adjustment lever. The leash uses friction to stay in place, and tightens under pressure. I already have a leash that goes through the camera’s hinge pin.What’s wrong with that? In our opinion, the hinge pin is a bad place to attach a leash. You’re attaching to a 2mm pin, surrounded by 1mm of Polycarbonate. If that part breaks, your camera breaks. GoPro have now altered the design of their case, making it impossible to attach a leash to the hinge pin. 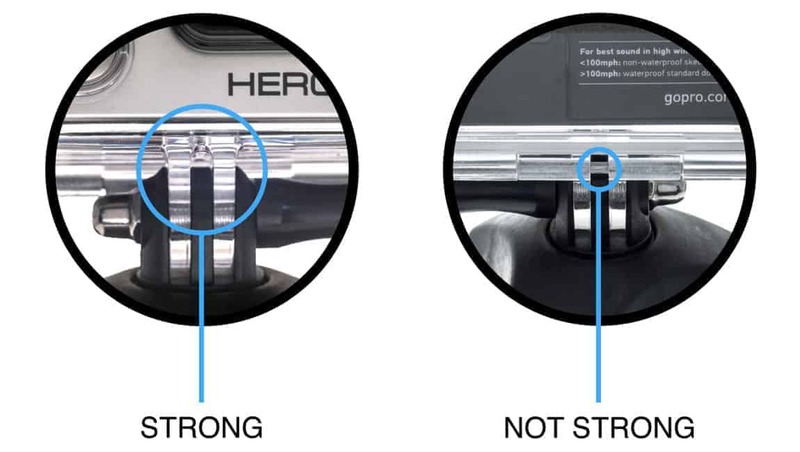 Why do you think it’s safer to attach to the base of the camera? The section between the camera and angle adjustment lever is extremely strong. A 5mm steel bolt runs through two sections of polycarbonate and 3 sections of glass filled nylon, with a combined thickness of 17mm. What if something hits my camera whilst windsurfing? Wouldn’t it break off? Provided you use a Flymount GoPro Adapter, it’s virtually impossible for camera and mount to become separated. 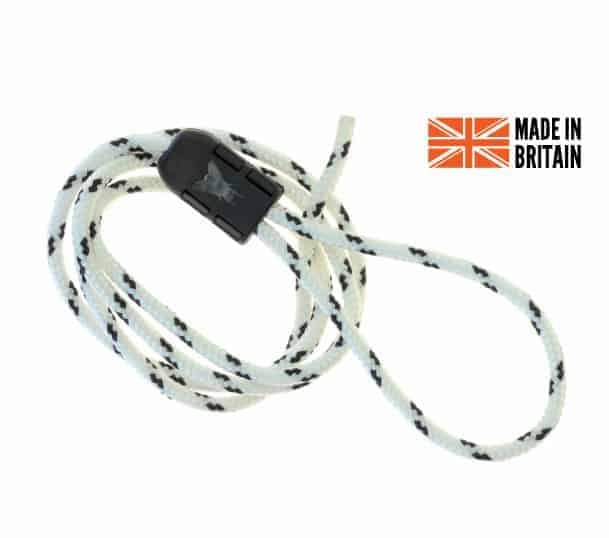 If for any reason your Flymount Original became detached from the object it was mounted to, the leash would remain attached to the camera without any risk of the camera’s outer case being ripped open. Is the Safety Leash easy to attach and remove? YES! Pull the cord through the nylon clasp to extend the loop. Pull the cord back in the opposite direction to tighten. The clasp applies a slight friction to the cord to keep it in place. Removing the leash from a camera is easy. Simply grip the nylon clasp, and pull away from the camera to loosen it.